BSNL Jobs Recruitment 2017 Junior Telecom Officer through GATE-2017 Posts: Bharat Sanchar Nigam Limited has Released Recruitment Notification for Junior Telecom Officer through GATE-2017 vacancies. Interested for getting Junior Telecom Officer through GATE-2017 – 2510 Vacancies, May Apply online from 06-03-2017 to 06-04-2017 Hrs on wards. Qualified in Diploma in engineering (Telecom/ Electronics/ Radio/ Computer/ Electrical/ Information Technology/ Instrumentation) or M.Sc (Electronics)/ M.Sc (Computer Science) are required to appear GATE exam 2017 with opting one paper from selected four disciplines of GATE paper codes i.e. CS & IT/ EC/ EE/& IN. Details are available at www.gate.iitr.ernet.in. Candidates age limit 18 to 30 years as on 31-02-2017. Age relaxation is as per Govt rules. Applicant can deposit application fees Rs.500/- for OC/ OBC candidates and Rs. 300/- for SC/ ST candidates through online mode i.e. Internet Banking, Credit Card, Debit Card only. Interested candidates may submitting through apply online forms by visiting the website “www.externalexam.bsnl.co.in” on from 06-03-2017 to 06-04-2017 Hrs on wards. Online Application Begin: 06-03-2017 Hrs. Last Date for Online Application: 06-04-2017 Hrs. 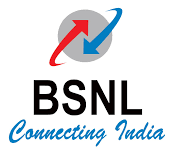 BSNL Jobs Recruitment 2017 Junior Telecom Officer through GATE-2017 Posts: Bharat Sanchar Nigam Limited has Released Recruitment Notification for Junior Telecom Officer through GATE-2017 vacancies. Interested for getting Junior Telecom Officer through GATE-2017 – 2510 Vacancies, May Apply online from 01-01-2017 to 31-01-2017 Hrs on wards. Interested candidates may submitting through apply online forms by visiting the website “www.externalexam.bsnl.co.in” on from 01-01-2017 to 31-01-2017 Hrs on wards. Online Application Begin: 01-01-2017 Hrs. Last Date for Online Application: 31-01-2017 Hrs.